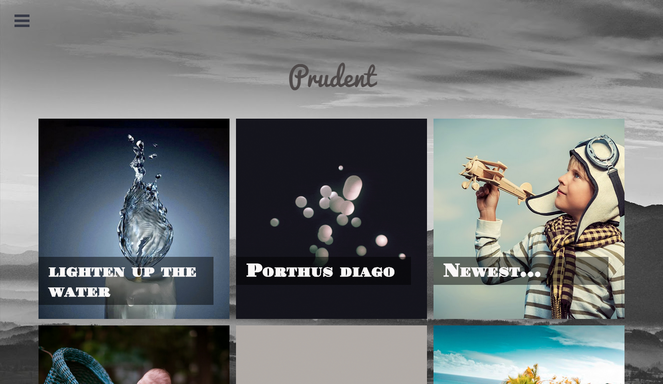 Check out our latest new theme release: Prudent. Prudent is a beautiful, responsive,multipurpose and easy-to-use blogger template. It’s a perfect fit for bloggers, writers, photographers, and artists who need an effortless way to showcase their work.Prudent is Responsive blogger template, with many premium features, the template is highly optimized for both mobile and desktop platforms. Note: It is forbidden to remove the credit link due to the elimination of the credit links will make your blog to redirect Our site. For those who want to remove can buy Full Version. We wrote a very detail and clear user guide to help you to easily work with Visionary Responsive Blogger Template. But if you have any questions, please feel free to ask on our comment system. Note: Premium Version buyers will get advance and lifetime support guarantee,as well as all the latest updates. how to change the color of text from body-post. and then change color code with your desired color code. kok ngak revonsive gan..why not trvonsive..
Hi, can i remove your icon? My name is Narciso and I bought the premium version a week ago, I would like to change the color of the menu icon, as it is gray blends with the background of the screen! Thank you!! Quite interesting website. Thanks for sharing. i am new blogger i started to write a blog few days ago so i found these templates these are so good i really like it. These templates are so useful for those who are in fresh in blogging. i write my first blog on how to do my homework with the help of these templates. If you have a developer which can spot out the faults and errors in one's template, please let me know. I am about to launch my dissertation abstract website but it is pointing towards some responsive issues. experts who write my programming assignments on my behalf. They carry out tremendous performance throughout the assignments which have earned me valuable grades every year. I work at a website development company and used this template many times to create websites for my client, they liked it. Excellent clarified information. Thank you for sharing! !